Muslim women are using #MosqueMeToo to share their experiences of sexual harassment during the Hajj pilgrimage and other religious settings. Egyptian-American feminist and journalist Mona Eltahawy first talked about her experience of sexual assault during Hajj in 2013. Muslim men and women from around the world started using the hashtag yesterday and in less than 24 hours it was tweeted 2,000 times. It has gone on to become one of the top ten trends of Farsi Twitter. Many of the women sharing their experiences on Twitter report being groped, inappropriately touched or having someone rub against them in the crowd. For Muslims, the Hajj is the fifth and final pillar of Islam. It is something that every sane adult Muslim must undertake at least once in their lives if they can afford it and are physically able. It is estimated two million Muslims undertake Hajj each year, creating huge crowds in the holy city of Mecca. One of the important aspects of the religion of Islam is female modesty; many women are encouraged to cover their hair and body in public in order to preserve decency and keep themselves safe from male attention or harm. Many Muslim women are taught from a very young age that a hijab, or head covering, is their protection from harassment and assault. Some people also believe that what a women wears, where she goes and what she does can encourage harassment and it is her responsibility to manage this. Many women in countries such as Iran, Saudi Arabia, Egypt, and Afghanistan say they still face sexual harassment and assault on the streets, despite wearing modest dress. #MosqueMeToo supporters say that even in the holiest of places, where they are fully covered and praying, they can be assaulted. Many Iranian and Farsi speaking Twitter users not only shared their experience of harassment but also challenged the belief that wearing the hijab keeps women safe from assault and harassment. In Iran the hijab is mandatory. There are posters in cities and towns comparing unveiled women to unwrapped candy and lollipops attracting unwanted attention from flies. One of the main slogans written on the walls of every office and public building in Iran says, "Hijab is not a limitation, it is your protection." 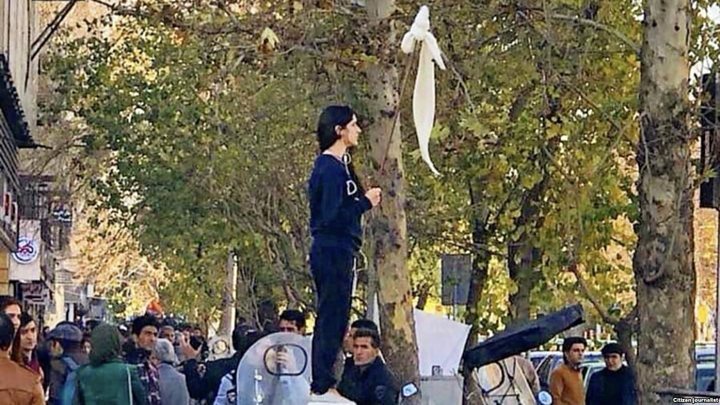 In recent weeks, Iranian authorities have arrested 29 people as part of a crack down on protests against the compulsory hijab. The movement, which has been named "the Girls of Revolution Street", started after a woman took off her headscarf in central Tehran. Not everyone has been supportive of #MosqueMeToo and some people have criticised Mona Eltahawy for bringing up the topic on social media.